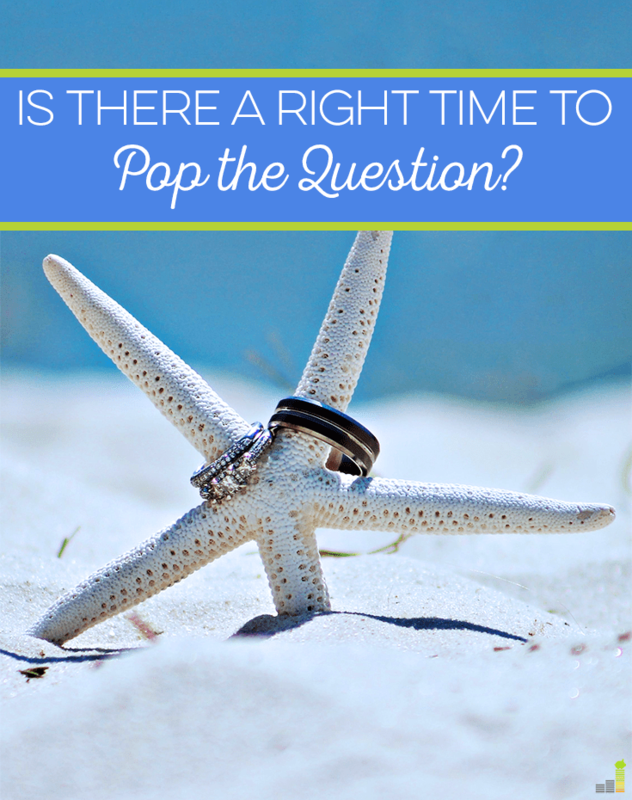 Is There a Right Time to Pop the Question? Marriage can be overwhelming to think about, mostly because of the cost. From the engagement ring, to the cake, to the dinner, and everything in-between, expenses add up quickly. If you’re in debt, marriage might be further from your mind. Debt can cause a lot of friction in a relationship, and if you or your significant other are focused on paying it down, you might be putting life goals like marriage on hold. You’re not alone – my fiancé and I had discussed marriage a year before he proposed, and we held off mostly due to our student loan debt. We had both agreed a long engagement was perfectly fine given our circumstances. In the same boat? 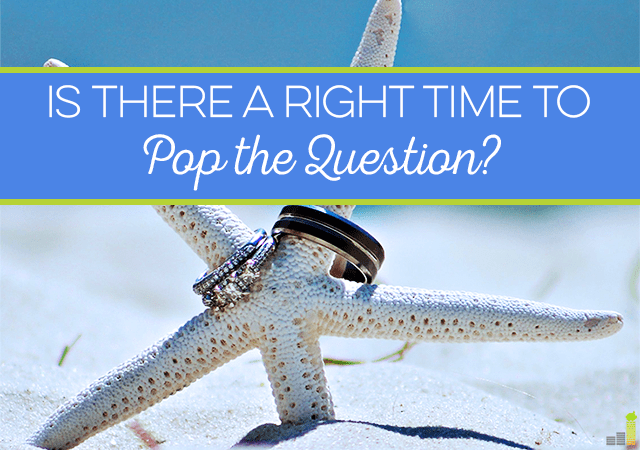 You might be wondering if there’s a right time to pop the question. 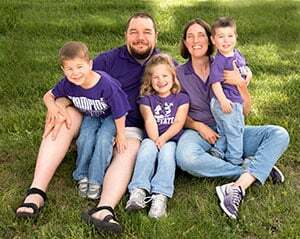 I don’t think there’s a right or wrong time (just like with having kids), but there are definitely a few financial things to consider before making such a commitment. It makes sense to review your entire financial situation before you even think about proposing. Can you afford an engagement ring? A wedding? Everything that comes after it? It comes down to what you’re comfortable with. If you’re in a lot of debt, or trying to save for another goal, such as buying a house, then saving for a wedding might be a little difficult. A year before the proposal, my fiancé and I were anticipating moving out-of-state because he was up for a promotion. 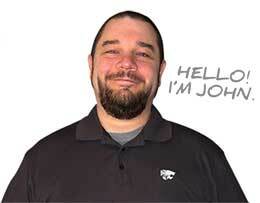 I had also decided to give self-employment a shot. There was way too much going on to think about getting married. We weren’t confident our finances could handle it. What Will Your Wedding Cost? You don’t need an exact number of course, but knowing what type of wedding you and your partner want is helpful. I always knew I didn’t want a big affair, opting instead for an affordable wedding. I wasn’t a fan of spending $30,000 on a big party. Having close family and friends is enough for us. Actually, we talked about going for a low-key, backyard celebration with BBQ or pizza. We’re that casual. After the proposal, we agreed if we could do a wedding for less than $5,000, that would be ideal. However, not everyone shares our values, and that’s fine. If you have a huge family and want everyone to enjoy your special day with you, then you might be looking at a more expensive wedding. Or maybe you just want to elope and marry as cheaply as possible! There’s nothing wrong with either situation, but try and plan ahead to get an idea of the kind of expenses you’ll be anticipating once the proposal happens. Where Does a Wedding Fit Into Your Timeline? When you’re in your mid-20s to mid-30s, you might be experiencing a lot of major life changes. Starting a family, settling down, moving up in your career, and of course, getting married, are probably on the list of goals you’d like to accomplish. You need to get clear on your priorities, and be sure your future spouse shares them! Sit down and have a serious conversation about what you both want and when. If there’s another major goal that’s more important to you, save for that instead. This is especially important if you’re still in college. So many things are up in the air after you graduate, you might want to get marriage “out of the way” before anything else has a chance to take precedence. Or maybe you both want to get established in your careers before tying the knot. Again, there’s no right or wrong way to go about it, as long as you check with each other first. Are You Both Okay With a Long(er) Engagement? These days, it seems like any friends of ours that get engaged have a wedding date announced within weeks, and it’s usually about a year or so down the road. As I mentioned, we knew that wasn’t going to be the case for us. We were perfectly okay staying engaged for a few years. Besides that, there are a lot of big family events happening this year that made getting married impractical. If you’re both okay with a long engagement, then popping the question when you can afford it is fine. It gives you both time to save, plan, and accomplish other goals, all while knowing a wedding is in your future. Is the Engagement Ring Holding You Back? I’ve read so many articles by people who wish they could go back and spend a little less on their wedding. Especially on their engagement ring. I was very lucky that my grandma gifted us her engagement ring, but I hate hearing that engagement rings should cost 3 months of your pay. That’s ridiculous, depending on how much you make. Before we knew my grandma was gifting us her ring, I had told my fiancé not to spend more than $1,000. A ring is just a ring to me. Sure, it can be a symbol of your love, but don’t make the mistake of thinking you need to wait until you can afford an expensive ring before you propose. You can always “upgrade” to a nicer ring down the road for a special anniversary, when you can afford it. One of my family members had her eyes set on a gorgeous ring and admitted the only reason her now-husband hadn’t proposed was because he couldn’t afford it. Yikes! Is getting the perfect ring now really that important? If it is, do your best to start saving for it each month. Financing it will only going to add to all the wedding-related expenses. Honestly, the smartest thing to do is to save for a wedding long before you ever have to worry about it (if you plan on getting married). So, Is There a Right Time to Pop the Question? It comes down to what you and your partner want. I think it’s pretty simple to figure out; the ‘right time’ is based on a quick evaluation of where you’re at and where you hope to be at in a few years. There’s no perfect time that’s set in stone. Some people get engaged quickly, some take years. Do what’s right for your relationship – the only way to know is to communicate with each other! Did money or different goals hold you back from getting engaged or married sooner? Or did you go ahead and get engaged despite what was going on? Do you think people should get married whenever they emotionally feel the time is right? I’m definitely in the “marriage is too important to be held back by finances” camp. I mean, the couple should ABSOLUTELY be on the same page about money management, but I don’t think debt or lack of savings should delay a marriage. A big wedding or a ring, sure, you should pay in cash and it should be affordable for your life situation, but the marriage can start at any time, really. I think the key is “affordable for your life situation.” I just hate to see couples start married life off with a huge burden because they weren’t prepared for it or didn’t think it through. But if marriage is that important, there’s usually a way to make it work regardless of what’s going on financially (like taking on extra jobs to afford the wedding). I agree, that there’s probably never a ‘perfect’ time to get engaged or get married and it’s a pretty sad fact that money can seriously hold couples back from getting married. For me, marriage is not all about the ring and the expensive celebration so I’m definitely okay with doing something small and affordable. Television shows like Say Yes to the Dress where women purchase $3,000 wedding gowns and have $20,000+ weddings, can give off the impression that it’s normal and expected to spend that much on a wedding but once you get your finances in order and lower your expectations and stick to a budget, an ideal wedding is possible. You’re so right that the media gives off the impression it’s completely normal and standard to have an fancy wedding that costs thousands. I don’t think I could ever stomach buying a dress I’ll wear once for $3,000+, but to each their own. I just wish more couples took the time to think about what’s important for them to have at their ceremony, rather than considering what everyone else is trying to tell them they need to have.